While a full moon refers to the moment when the moon’s Earth-facing side is fully illuminated by sunlight, a new moon refers to the moment when the moon’s Earth-facing side is fully in shadow. 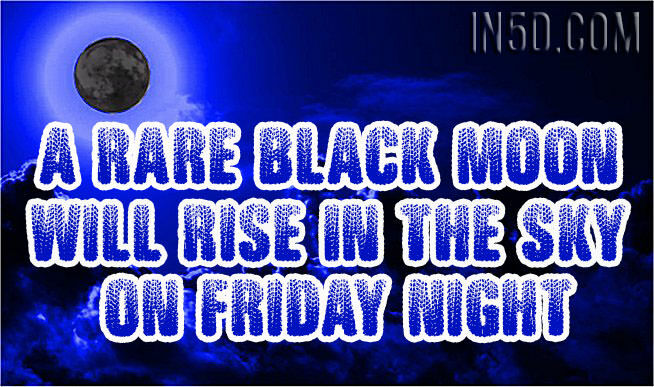 (Unfortunately, that means the Black Moon will be more or less invisible, even if the moon is high in the sky). The lunar calendar almost lines up with Earth’s calendar year, so there is typically one full moon and one new moon each month. A second full moon in a single calendar month is sometimes called a “Blue Moon.” A Black Moon is supposedly the flip side of a Blue Moon: the second new moon in a single calendar month. The next Black Moon takes place on Sept. 30 (in the Western Hemisphere).